Everything looks perfect! We love it. ROBIN (Fireplacewest.ca) Clients had a lux vision, did a lot of the prep work, some serious skills here and the project was done in two days, 7 from first contact. Robin and Matt/Fireplace West recently changed my 24 year old wood fireplace to a Napoleon gas fireplace. I am very happy with their professionalism, prompt response and great patience with my many questions. No one would come out for an “in home consult” without me choosing what I wanted and signing a contract. I found Robin through his great internet reviews. He got back to me in two hours and saw me the next day. We chose the best of three models, a Napoleon Clean Face and the job was done in just over two days. He dealt easily with our Condo Board, fixed some water damage behind the fireplace (common) and lived up to his reviews. This is the end of a kitchen, family room reno and I am so happy with the final look. I would highly recommend Matt and Robin at fireplacewest.ca to any of my friends and neighbours. “I was looking for a fireplace and a reliable person to do it–for a year. When I met Matt and Robin, I was immediately impressed by their professionalism, knowledge and responsiveness. I am in an old house and they proved to be great problem solvers. I also had a vision of the fireplace I wanted and they were able to find exactly what I was looking for. They were efficient and prompt. Even though it is only August, I cannot wait for winter”. Rebekah gave FW a second chance. I initially refused the project because of a scary roof and the “older home”. My new apprentice, Matt’s surprise at the refusal and an unexpectedly pleasant follow up email asking for help, a name, advice, made us take a second look. MAY 2014. Big Brothers Big Sisters of Lanark is thrilled with the ongoing partnership we have established with Robin and Matt over the last couple of years. Robin proactively sought us out and has been a faithful donor. Robin and Matt recently came and helped out with our Spring Work Day (a huge help). This year Fireplace West came out and bowled with us for the Bowl For Kids event. We are incredibly grateful for Robin and Matt’s partnership, belief in mentoring, helping children and willingness to give back to his community. We are one of many groups that have benefitted from Robin’s kindness and generosity. I strongly recommend Fireplace West for all your fireplace needs. Beth Sinclair, BBBS Lanark. Our Air Conditioner hardly comes on with the new gas furnace. You told us about the benefits of installing a Return Air in the basement (free) and some ductwork improvements (free) when you changed out our old furnace for the hi-efficiency model. You were right. You have given us a super quiet, sophisiticated heating system. Great service, price and took care of a couple of concerns immediately; you have a couple of happy customers here. We would recommend you highly to any of our friends..
“I’m not going to move now” (re and re “red tagged” gas fireplace). Robin, thanks for doing a good job at a good price. Nice to make your acquaintance. Robin managed to transform our heating system from baseboard electric to forced air oil furnace by carefully selecting where to route all the air ducts without any noticeable wall or floor damage. This was an amazing start of a long term work relationship that inevitably would turn into a friendship. The second big project Robin did was all the stone work and fireplace in our living room. Not only every stone was cut to perfection but his artistic talent gave it a unique finish in the design of the solid cedar mantel with beautiful red cedar accents… and did I mention he shaped the wood with his chainsaw! Robin is a pleasure to be around and his work ethic, commitment to complete the job on time and with the utmost quality make him a most have in his field. A couple of years ago we had Robin into our home to install a new fireplace insert in our living room fireplace. While he was with us, we inquired if it might be possible to add a new gas fireplace in the sitting area of our bedroom. Both my husband and I felt it was an impossibility. Robin checked it out and within a short period of time, we had plans made for the “fireplace of our dreams”. Robin took a blank wall and turned it into an absolutely beautiful fireplace. Robin is amazing. When he left our home , the fireplace, the surrounding wall, the mantle, all were completely finished. All we had to do was sit down on our couch and enjoy our new fireplace and to say” thanks a heap” to Robin for his excellent work. A job well done Robin – if you are lucky enough to have Robin do work for you – you will be VERY happy with the results. My condo has baseboard heating and my fireplace was broken. Robin, who was referred to me, sold and installed a handsome Napoleon insert. This winter my living room is my comfort zone. I highly recommend Robin. When we decided to install a gas range, a friend of ours recommended Robin since he had done some work for them and they had been very pleased. It was easy to reach him, and he came by the same day to give us a quote and explain the process. When he came to do the job he was prompt, courteous, and thorough. He took the time to explain everything to us and made sure we were happy with the installation. I would recommend his services to anyone. Robin and his staff installed a Napoleon fireplace for me and I am thrilled with the product and the outcome of the work. They were very professional, and the cleanup work was impeccable. I would recommend them to anyone. I now relax in comfort, in the room that was the coldest in the house. 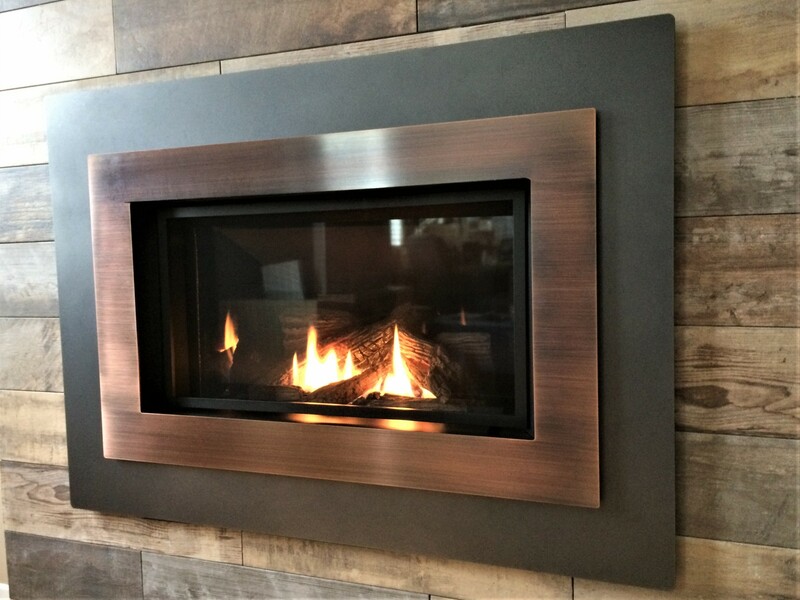 It is my pleasure to strongly recommend Robin, as a sales and service agent for any customer who is in the market for a gas fireplace to purchase and to have installed. Robin chose the best unit for our needs and installed it without any problems. He has a courteous and honest manner and works very hard to please the aesthetic wishes of his customers with regards to installation and followup. My wife and I recommend him highly.